More than 50 handmade and vintage vendors will be at the Hamilton County Fair Grounds for this event. Admission is $5. Find a unique and authentic German-made product at this European holiday market in Carmel. Popular items include special bierkruges, collectable gluhwein mugs, holiday cards, angel figurines, custom ornaments and more. Back for its fifth year, Gifted is part holiday exhibit, part gift market with handmade gifts like cards, ornaments, pottery, jewelry, artwork and more. 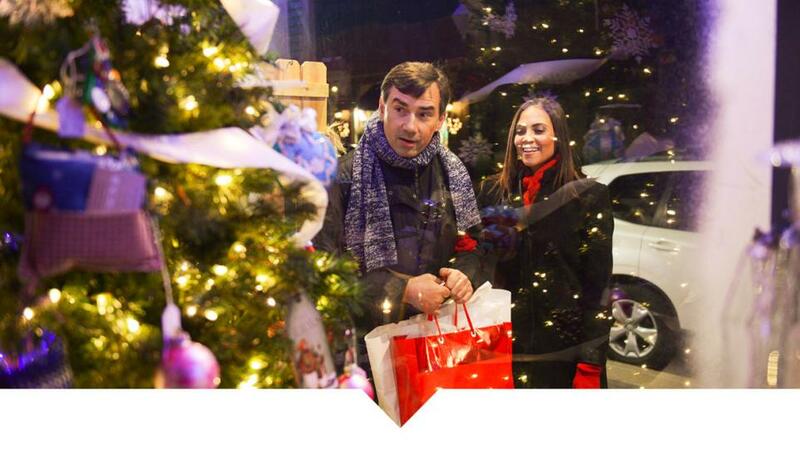 This season, #ShopSmall and support locally-owned businesses. Many stores will offer special deals and promotions on this day. Noblesville Main Street hosts vendors selling giftable items under one roof. Hamilton County’s shopping scene includes sophisticated destination malls like Clay Terrace and Hamilton Town Center along with these convenient and walkable shopping locations. • Carmel Arts & Design District, a Main Street featuring shops like All Things Carmel and Silver in the City. Ride the Carmel Holiday Trolley on select dates to get from place to place. • Carmel City Center, a multi-purpose center with build-your-own creations at Bath Junkie and upscale finds at 14 Districts. • Fishers’ Nickel Plate District, a growing downtown with boutiques like Gallery 116 and close proximity to IKEA. • Historic Noblesville Square, a charming brick street square with antique shops for unique gifts. For more events and things to do this winter in Hamilton County, Indiana visit our events calendar or check out our holiday page. Be sure to follow us on Facebook, Twitter and Instagram.